Join us for our 3rd Annual Savor the Flavor, a community celebration and benefit. 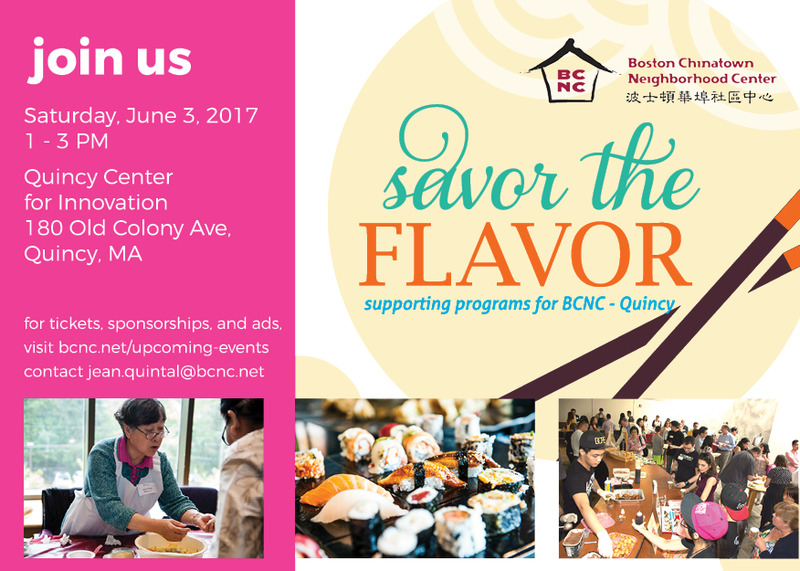 Guests are invited to sample delicacies from local restaurants, vote for the "best flavor," and hear about BCNC's work to support the rapidly growing Asian community in Quincy. Proceeds from the event will support BCNC Quincy programs for youth, adults, and families. Contact Jean Quintal for more information. Click here to become a sponsor, advertise in our program booklet, or purchase tickets.